Have you taken money out of a Roth IRA? At this time of year, it is common for tax preparation clients to ask me about Roth IRAs and taxes. So, are withdrawals from a Roth IRA taxable? Let’s say you withdrew $10,000 from a Roth IRA and you’re trying to prepare your taxes on your own. How do you calculate the taxable amount if any? Before I can answer this, we need to know some of the background. So let’s meet Dan. Dan has had a Roth IRA account for three years. He withdrew $10,000 from this account to pay off some debt. He was taxed on 10% of the total amount, which left him a balance of only $9,000. Currently, Dan lives in Texas which has no state income taxes. He received a Form 1099-R showing a taxable amount in Section 2A of the form as blank. How can he calculate the taxable amount? His 1099-R form has his prior Washington, DC address, but as a member of the military he has been relocated to Texas now. You only pay taxes on the gains above what you invested. Your initial and subsequent investments into the Roth IRA form your basis. I recommend that you go back to your statements to calculate the amount of your investments. If you need help, reach out to the investment custodian (the folks who prepared the 1099). They should also be able to tell you what the amount invested was. It’s possible that you have no taxable gain and this is why there is no taxable amount listed on the 1099. For example, if you invested $10,000 and withdrew $1,000, then for tax purposes you received a partial return of your principal. There is no tax on this in a Roth IRA. When you contact the custodian you should update your address information. But it should not be a problem for filing your federal income taxes. Since you live in Texas where there is no state income tax, you shouldn’t have to worry about that either. Whether or not you need to file a different state tax return will depend on which state and how long you lived there. If you are like Dan and need help with your taxes, please contact Steve Stanganelli, CFP(r) at BostonTaxPlanners.com. Tax season might seem luxuriously far away, but it will be here before you know it. Before the IRS begins accepting returns, it’s a good idea to audit your own situation and take action now, if needed. Preparing now means completing your taxes will be much easier and faster later. The earlier you file, the earlier you get your refund (if you’re eligible for one) — and the sooner you can use that money to pay down debt, bolster your savings, or buy that TV you’ve been eyeing for months. Figuring out how to prepare taxes and staying ahead of any potential issues can save you time when you’re ready to submit your return. 6.) Start Saving or at least don’t be shocked by the fee to prepare your taxes – the national average for a basic tax return (1040A and state return) is $176 and the cost goes up for more complex returns: Itemized 1040 with Schedule A and one state return is $273 (national average) and $457 for itemized 1040 with Schedule C Business Income or Capital Gains. Other schedules and other state tax returns will likely increase the fee. As part of my divorce planning practice, I often work with clients to help them chart out their cash flows and projected tax issues to help reduce surprises. Sometimes folks can be confused about what is taxable income. In one case, a woman asked if the monthly benefit she received from her ex-spouse’s military pension was taxable since it was considered “property” in the divorce decree in the state in which she lived. For reference, alimony received is considered taxable income. But this is clearly not alimony and wasn’t listed as alimony in her divorce decree. Nonetheless, the monthly income she is receiving from her ex-spouse’s pension may very well be taxable. Military retirement pay based on age or length of service is considered taxable income for Federal income taxes. However, military disability retirement pay and veterans’ benefits, including service-connected disability pension payments, may be partially or fully excluded from taxable income based on a variety of tests. It sounds to me like this is retirement pay (and not part of any disability) so this will be added to her total adjusted gross income. Whether or not it becomes taxable will depend on how much her total income is and home much of this income (from this and all other sources) may be offset by deductions (itemized or standard) and exemptions. If you’re receiving any military retirement income you will likely receive a Form 1099-R from the US Office of Personnel Management each year detailing what was received and what portion is ‘taxable’. 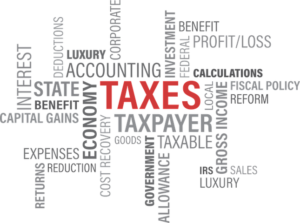 Taxpayers may want to plan ahead and calculate whether they may have any tax owed and how much, if any, quarterly estimated tax payments that they may want or need to make. Speak with a qualified tax professional or tax adviser to help figure out this detail. Call us and we’ll be happy to help. Famous Chef Anthony Bourdain Didn’t Pay Taxes for 10 years— Sounds good, right? But here’s What Can Happen. Death and Taxes. There’s no escaping them. And if you try, you could be in hot water with the IRS — no matter who you are. At age 44, famous chef Anthony Bourdain never had a savings account and hadn’t filed his taxes for a decade. In an article on CNBC.com1, Bourdain explains that he used to always owe money, thanks to constant job-hopping, perpetual debt, and drug use. Ultimately, celebrity chef Anthony Bourdain got in hot water with the IRS because of it. “I didn’t put anything aside, ever,” he told Wealthsimple in an article on BusinessInsider.com2. “Money came in, money went out. 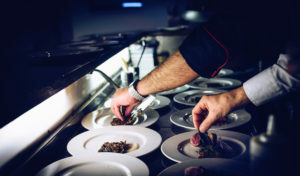 I was always a paycheck behind, at least.” His major turning point came right before his first book, “Kitchen Confidential,” hit store shelves and turned him into the famous chef and travel writer that he is today. After his risky career shift paid off he immediately called the IRS and credit card companies to settle his balances. Now, he is determined to never owe anyone money again. If you’re behind on filing your taxes, or owe an outstanding balance, know that you have options. Here’s what happens and how you can settle your balance and avoid further consequences. No one individual’s tax situation is the same, but everyone is subject to the same fees and interest charges if you don’t file or pay on time. The first fee is called the failure-to-file penalty, which comes to 5 percent of your unpaid taxes for each month your tax return is late, up to 25 percent. In the event you did file your tax return on time but didn’t pay the total amount owed, you could be subject to a failure-to-pay penalty. This penalty is 0.5 percent of your unpaid taxes for each month you don’t pay, up to 25 percent. In addition, you’ll pay interest charges equal to the federal short-term rate, plus 3 percent. Don’t wait until you receive a letter from the IRS before making a plan to file your taxes or pay an outstanding balance. By then your account will already be levied with interest and a host of fees. The sooner you start rectifying your tax situation, the fewer penalties and interest you’ll pay in the future. Follow in chef Bourdain’s footsteps and reach out the IRS to settle your balance before they have to contact you. The IRS offers options for taking care of taxes that can’t be paid all at once. Whether you have a balance of $10,000 or as much as $50,000, you can apply for various payment plans that offer the chance to pay your tax bill in affordable installments. Look for Form 9465 or head to the IRS website and search for the Online Payment Agreement form. Don’t try to cook the books with the IRS. Sure, there’s nothing wrong with trying to find legal ways to minimize your tax bill. And with the right tax planning help, you may lower your taxes. But if after that, you find that you still owe, then it’s best to make a plan to pay it. Trying to avoid it will ultimately backfire. And that’s a bad recipe that neither you nor any chef will want to cook up. Need help? Then call Boston Tax Planners and we’ll help you navigate and prepare a plan to pay your past taxes and plan ahead to minimize your next tax bill. Tax and financial planning cannot prevent such crises but proper planning can help deal with them with less stress. Life is filled with risks. At any time we can be literally and figuratively hit by something unexpected. The goal of financial planning is to find ways to mitigate these risks. It’s tax time again. While taxes are the price for a civilized society, there’s nothing in the law that says you can’t lower your own tax bill. So at this time of year, I do get questions about taxes. Most folks are looking for ways to minimize taxes. Here are 8 ways to minimize taxes. You may find one or two that work for you. You can minimize tax liability in more ways than can be counted here. You are limited only by your imagination, the creativity of your professional team and your willingness to go right up to whatever lines the IRS has. As noted once in a US Supreme Court opinion, tax avoidance is not illegal. Tax evasion is. Being on the right side of the line is key. There are lots of legal ways to minimize your taxes. For some who have deep pockets and can afford to hire teams of high-priced tax attorneys and accountants, the number of creative ways found to avoid taxes can almost be limitless. But like investing, these kinds of options also come with high risks if the IRS deems the strategies to be illegal or abusive. For most people without an entourage of professionals, there are still some conventional ways to minimize your tax liability. The best options usually involve being self-employed or owning rental real estate. For these folks there is the opportunity to use depreciation, a calculated non-cash expense, to lower one’s taxable profits from a business or rental property. Likewise, you can find ways to legally shift income. One way is to hire family members like a spouse or minor children which shifts net profit from your tax bracket to someone who may be in a no-tax bracket. This works especially well if you help the minor child use his income to fund a Roth IRA which gives him a head start on retirement savings and is a neat way to save for college, too. Another option is to supplement medical expenses through a Medical Expense Reimbursement Plan (MERP) sponsored by your enterprise. Let’s face it. You were going to incur and pay those expenses anyway but through these methods you can now get a legal tax subsidy. For those who are W2 earners, the best options relate to employer-sponsored benefits. Take advantage of any benefit that shifts income to a tax-deferred vehicle. These include employer-sponsored retirement plans, flexible spending accounts for health or dependent care. If you don’t work outside the home but you have a spouse who does, then be sure to fund your own IRA to the max. This will help your own retirement but also reduce your current year taxable income. If you have deeper financial pockets, you can consider investing in municipal bonds which produce tax-exempt income or in partnerships like oil and gas exploration which produce depreciation and losses that can be used to offset your other income. While lowering taxes in the current year are what most people are now asking about, it’s also advisable to plan ahead for taxes in retirement. As you put aside money in your IRAs and company 401(k)s, you’re lowering your current tax bill. But you’ll find that Uncle Sam will be waiting to take his toll when you start taking distributions in retirement. One way to lower your future tax bill will be diversifying where your retirement money is held. By funding or converting other IRA funds to a Roth IRA, you’ll have the option to withdraw funds tax-free in retirement or allow them to continue to grow because you won’t have to take a minimum distribution from these accounts. Because of income threshold limits, you may not directly qualify for opening or funding a Roth IRA. But with a little bit of help, you can navigate the rules to fund a ‘backdoor Roth IRA’ which will save you money on taxes in retirement. To really figure out your best options, you should have a plan. So, you should reach out to a qualified financial professional who knows how to integrate tax planning for your personal situation. You may be in a rush to get your tax returns filed but take some extra time to avoid common tax filing mistakes that I see all the time. These slip-ups often creep into federal and state tax returns. No one wants to delay their federal tax refund. But mistakes happen. So it never hurts to check twice to make sure that you’ve filled out your 1040 form correctly. These are some of the most common tax filing mistakes to avoid, the little slip-ups that aggravate both the IRS and the taxpayer and can cause your tax return to be rejected or delayed. And let’s not forget about those all-too-common ‘finger errors’ when typing into a calculator or on a keyboard. It doesn’t hurt to check twice. How many times has that happened to you? It’s happened to me. I once had a couple who were each divorced and recently remarried (to each other) ask to file as “Married Filing Separately” thinking that would be less complicated. It took a little bit of time to explain that that wasn’t a good deal for them. It’s worse in the state of Massachusetts where the definition of who is an independent contractor is even more restrictive than the feds; thus, exposing the business owner to a host of taxes and penalties later one if ever discovered. So what steps can you take to try and reduce the risk of errors on your 1040 form? You can file electronically; you can use some of the terrific tax prep software available; you can turn to a skilled tax professional to help you prepare and file your return. No one is perfect, but those are all good moves to make this tax season. And don’t forget to be like Santa … check twice. That’s one way to be nice.